GMSL is frequently looking for talented individuals to join the team. We offer an interesting, challenging and rewarding work environment for our staff. Select from the menu on the left hand side for details on our employment opportunities. “I joined GMSL in 2011, not quite straight out of university as I had held a couple of positions beforehand, but the gas and power industry was completely new territory for me. It was challenging at times, but the provided training and the team’s support enabled me to quickly become an efficient and knowledgeable operator. In 2016 I became a shift leader, and on top of the usual day-to day operations, I manage my own team, am involved in training, and get to meet some of our clients. Probably one of the biggest challenges when joining is the shift work and long hours. It has its ups and downs – occasionally, I would struggle to stay awake for the last hour or two of the nightshift – but I got used to this fairly quickly and now enjoy the long periods of time off, days off during the week, and the general flexibility of my work hours. What also makes the long hours easier is the amazing atmosphere in the office; everyone is very friendly, there is always time for tea, some cake (or as past experience taught me, a LOT of cake), and a fun conversation. “I joined the 24/7 gas operations team with very little background knowledge about the industry. It has more than doubled in size in my time here, whilst still managing to maintain an informal but professional atmosphere. There are regular social events organised including bowling, paintballing and go-karting to name just a few. Working a mixture of hours has its challenges, but is compensated by generous time off. I enjoy the non-routine nature of the job, no two days are the same and you are encouraged to take on responsibility at a relatively early stage. Working night shifts can be tiring but it certainly feels great to be going home in the morning when the vast majority are on their way to work! “I started at GMSL in 2009 as a member of the operations team straight out of university. Whilst the learning curve at GMSL was steep and challenging I never felt out of my depth and was supported well by my team and the training staff. If I was ever in doubt as to the correct course of action to take, or unsure of a new procedure, a colleague was always on hand to help me find the right solution. From that day to this I would say that the feeling of being a part of a team has been the defining part of my experience at GMSL. Working on the 24/7 shift had its ups and downs, I may have found myself a little bleary eyed the morning of the first day shift back after a run of nights, or flagging a little at five o’clock in the morning towards the end of a night shift, but at GMSL there’s always someone making a round of tea or sharing a joke to keep spirits up. In 2014 I was made a shift team leader responsible for operations carried out by my team over the 24/7 shift. In this leadership role GMSL encouraged me to set goals and manage my own small team’s development alongside our day to day work. I was encouraged to not only supervise but was also given a voice to influence and be a part of the planning of the procedures the team should follow. At GMSL I have always felt that my voice is being heard and that my opinion has been respected. “I joined GMSL in 2011 after being referred by a friend, but I still knew very little about the job. Through my time at GMSL I have gained real insights into how the gas industry works as well as building good work practices such as; working to deadlines, professional communication with clients and other companies within the industry, and working effectively as part of a team. Since becoming a Shift Leader in 2016, I have also learned how to co-ordinate a team in an office environment. I find the nature of the work engaging and although it took some adjustment, the shift pattern and long hours have become more familiar as time passed. The friendly office environment, large amounts of time off – combined with a wage that allows you to make the most of it – more than compensate for working nights. For me personally it meant that I have been able to spend more time with my daughter as she has grown up. “I’m responsible for finding problems with the software before the customer gets it. This could be a problem with the design, it could be a problem with the code, it could be a problem with the database design. A developer thinks about what should happen. A tester thinks about all the things that shouldn’t! I test new versions of the software to destruction in order to prevent problems reaching the customers, doing all the things the developers and business analysts have assured me ‘the users will never want to do’. Because I know it’s going to be the first thing the user does. I write automated tests using a variety of tools, some written by other people, some by me. I only want to spend so much time button clicking through the same process every time the system gets rebuilt. If it’s going to be tested often, then I automate the procedure. “I came to GMSL straight out of university, with no formal programming experience, but found that they were more interested in my enthusiasm and potential than what I could already do. I spent the first few months working through exercises and projects to get up to speed in the various languages and concepts that I’d need. Some of it was building on my previous informal experience, filling in the gaps and explaining the areas I was already familiar with; but much of it was entirely new. Once I’d finished the training projects I started working on a real product by fixing bugs and adding small features. After a year of progressively more challenging work I knew my way around the majority of the code and felt comfortable in my role. Throughout my training I was encouraged to ask questions whenever I didn’t understand something I had read about. I was worried that there’d come a day when I was expected to ‘know everything’, but even now I’m still asking colleagues questions and checking whether someone on the internet has already provided the answer. With new techniques and technology coming into use all the time, this seems to be quite normal and people here are happy to help where they can. Although, as in all jobs, some days are more stressful than others, I enjoy my time working here. The people are friendly and we regularly head out to lunch together, sometimes getting together after work for games or bowling. The work is usually interesting and with flexible hours I’m able to do it at the time of day that suits me best. Not only this, but when the day is over, assuming that I didn’t decide to work from home that day, I never have to take my work home with me. When I was looking for jobs I wanted something challenging but interesting and somewhere serious but friendly. I specifically didn’t want a high pressure, highly competitive job with constant unworkable deadlines and a culture that promoted staying late every evening. It’s a great place to work – lots of talented and friendly people, a relaxed atmosphere, and no red tape except for the occasional running repair in the server room. Dress code is jeans and t-shirt, and the only people still working come eight o’clock at night are the ones who start at lunchtime. And the 24-hour operations team, obviously. Gas Management Services Limited (GMSL) is offering an office-based role close to Cambridge railway station. You would be a key part of our 24/7 team, managing European gas & power portfolios for some of the leading companies in the energy industry. The work is mainly screen-based using in-house developed software and carries a large level of personal responsibility, making high-value operational decisions on behalf of our clients. No previous industry experience is required, as successful applicants will receive full training. Our clients are active in many areas of the European commercial gas market, from North Sea gas production to the transportation of Liquefied Natural Gas (LNG) all over the world. Our clients rely on us to manage their portfolios accurately and efficiently; our actions can have a significant financial and operational impact. All staff are encouraged to be able to handle operations for all clients, meaning the learning curve into the job is steep and you are constantly learning new activities and carrying out different tasks for each client. GMSL has been providing services and software to the energy industry since 1996; employing around 100 people based in our Cambridge office which is close to fantastic transportation links. We run a dynamic 24/7 operations team with an employee-friendly shift pattern with the equivalent of a 37½ hour working week and 6 weeks inclusive holiday. Simply email us your CV and covering letter. GMSL is looking for graduates to join our software development team as software developers. 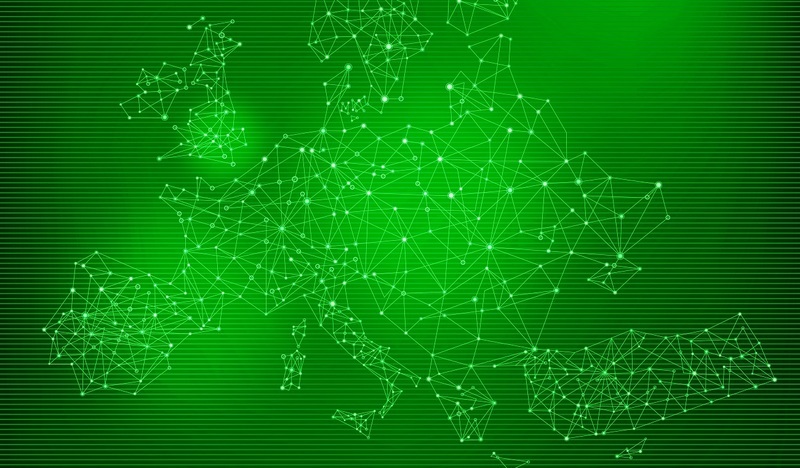 Our software enables our customers to operate in energy markets throughout Europe. Our products are well known throughout the industry. Our customers are typically banks, commodity traders and energy companies – including several of the world’s leading companies. We develop using an agile approach, which focuses on our ability to respond to change. We broadly follow XP principles but we take a pretty pragmatic view about this. We adapt our processes to suit the context, rather than follow a standard rigid process for all situations. We rely on the teams who do the work to decide how best to do it. We work together effectively and without fear. We rely on each other for help. We take joint responsibility for our work. We believe trust is essential. We communicate rapidly and accurately. We encourage team members to contribute insights to others’ conversations. We have created an open workspace, locating people according to conversations they should overhear. We define requirements in parallel with other work. We have expert on-site customers sit with the team, who work on requirements incrementally, in parallel with the rest of the team’s work. We implement tricky domain concepts correctly. We use examples to explain requirements. We create automated tests from the examples when appropriate. Programmers and testers speak the language of domain experts to avoid miscommunication, delays, and errors. We deliver on our iteration commitments. We allow time in our schedule to allow for the variability of our velocity. We are all responsible for high quality code. Everyone shares responsibility for code quality. Anyone can make necessary changes anywhere, and everyone is expected to fix problems they find. We embrace a joint aesthetic. We have guidelines to which all developers agree to adhere when programming. We create the minimal set of standards we can live with. We’re done when we’re production-ready. A story is only complete when on-site customers can use it as they intended. We confidently release without a dedicated regression testing phase. Testing occurs in parallel with development, rather than being in a separate phase. Rather than fixing bugs, we strive to prevent them. We discover surprises and untested conditions. We carry out chartered, exploratory testing sessions to highlight the quality of the software. Our team is split into a number of small product teams, each focused on one of our software products. Developers, testers and business experts work alongside each other and are involved in every stage of the software development process. The majority of training is provided on the job, with coaching from the senior developers on each team and other team members. There is also the opportunity to attend training courses and conferences. We do not have a long-winded graduate training scheme so you will be in a hands-on role from the start. We are looking for a good academic background, but you don’t have to have a specific degree, we are just interested in someone who is enthusiastic about programming. We will only consider people with a valid UK work permit. We are looking for talented individuals to help design, build and support our IT infrastructure as GMSL continues to grow. If you want to join a highly technical IT team where you can make a real impact, this might be a great opportunity for you. Your responsibilities will be varied. We don’t split our team into 1st, 2nd and 3rd line support, the whole team is collectively responsible for designing, implementing, maintaining and supporting the IT infrastructure. Each team member contributes at all levels, so you will have the opportunity to quickly progress. You don’t need any particular degree discipline, but you must be able to demonstrate your enthusiasm for IT. You don’t need any specific experience either, but you will ideally have some experience of at least one of the technologies we use. You will need to be great at thinking logically, but also laterally. You must be able to communicate your thoughts well. You should enjoy collaborating with others and relish solving challenging problems. We are the market leading provider of 24/7 energy portfolio management services and software in Europe. Our network infrastructure is vital to companies like Barclays, JP Morgan, Bank of America, BP, Shell, Centrica, Gazprom and many others. We need your help to grow, improve and support our IT systems as we continue to expand. This is a great opportunity for someone who wants to join a friendly, small and highly technical IT team where you can have a real impact. Salary depends on your level of experience. We are looking for a talented, hands-on IT Engineer, with solid, relevant commercial experience of Linux administration, networking, inc. firewalls, routers, and TCP/IP. You will have a minimum of three years experience in a commercial environment. You will have solid knowledge of networking principles, alongside good experience of either Linux or Windows administration. You will be the sort of person who enjoys variety in their work, likes to learn as well as getting things done, and is comfortable dealing with the in-depth technical aspects of IT. We are looking for talented individuals to join our software development team as software testers. What do software testers do? Computers do exactly what the software tells them to do. Unfortunately this isn’t always what we meant them to do! Software testers see things for what they are. They discover where the software does not do what it was meant to do, and where it doesn’t do what it needs to do. They use all the skills, techniques and tools they have to provide feedback to the team and relevant stake holders. What is software testing at GMSL? At GMSL, software testers follow an exploratory testing approach, which treats learning, test design and test execution as simultaneous tasks. Testers are an integral part of our development teams working alongside developers and business experts and involved in every stage of the software development process. We believe testers need to understand how our software is used by our clients, why it’s important to them and what they rely on it to do. You will work closely with our users to gain that understanding. Training will be provided, with coaching from our test manager and other test team members. We encourage learning and provide time for people to improve on their skills and learn new ones. We also attend conferences, local meetups and any relevant training courses we feel we can learn from. You don’t need any particular degree discipline. We are looking for a good academic background, and an interest in software as well as people, how they think, and how they interact with software. You will have an analytical and inquiring mind, and you will enjoy problem solving and lateral thinking. Our software is vital to companies like Barclays, JP Morgan, Bank of America, BP, Shell, Centrica, Gazprom and many others. We need your help to grow, improve and develop our software as we continue to expand. This is a great opportunity for someone who wants to join a friendly, small and technical software development team where you can have a real impact. We will only consider people eligible to work in the UK. We are looking for expereienced software testers to join our software development team. We develop using XP principles but we take a pretty pragmatic view about this. We adapt our processes to suit the context. We have an open culture, throughout the software development team. We rely on the teams who do the work to decide how best to do it. Our work is collaborative, and having a friendly office environment is very important to us. We have engaging projects, but we always work at a sustainable pace. Our testers follow an exploratory testing approach, treating learning, test design and test execution as simultaneous tasks. Testers are an integral part of our development teams working alongside developers and operations experts in every stage of the software development process. All testers work closely with our users, both internal and external clients, to help us understand their needs, including visiting clients and helping out with support issues. We encourage learning and provide time for people to improve on their skills and learn new ones. We also attend conferences, local meetups and any relevant training courses we feel we can learn from. The technologies used for development include C#, ASP.NET, MVC, FitNesse, NUnit, Oracle, SQL Server, VMWare. Anywhere from 2 to 5 years’ experience of testing commercial software and the wider testing life cycle. In that time you will have developed a sound grasp of the theory of testing. Experience of automated testing tools with a good understanding of what they are useful for and what they are not useful for. Experience of configuring and maintaining test environments. A strong interest in understanding the business needs of the customers and users of the software you test. You do not need to have any sector-specific experience. Experience of facilitating usability testing would be beneficial.